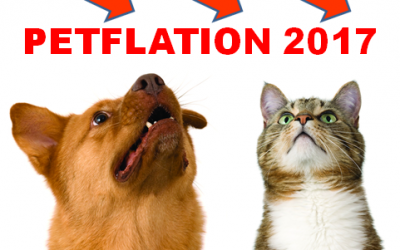 All segments contribute to a record low Petflation rate! 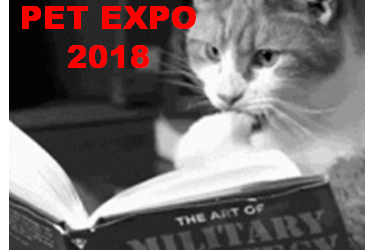 Attending Global Pet Expo 2018? 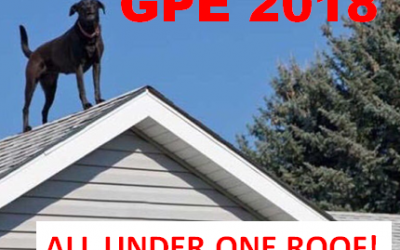 … It’s “All under one HUGE Roof” and.. You need a Plan! 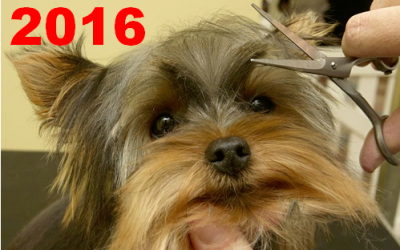 2016 had 4 major trends in Pet Spending! 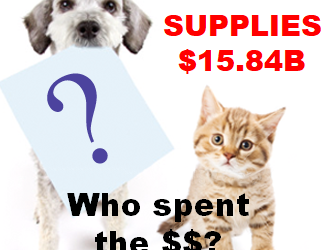 2016 Pet Supplies Spending was $15.84B- Where did it come from…? A big lift from the 35>44 and over 65 age groups! 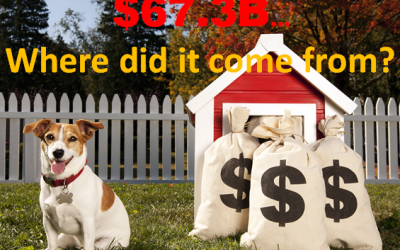 2016 Pet Food Spending was $26.5B- Where did it come from…? 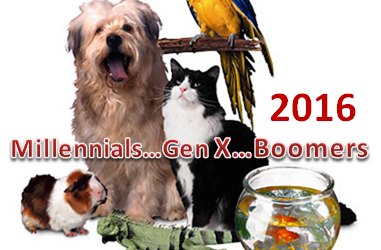 Food spending was down $3B, but some good news from the Millennials! 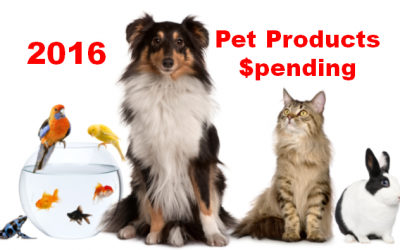 2016 Pet Products Spending was $42.34B- Where did it come from…? 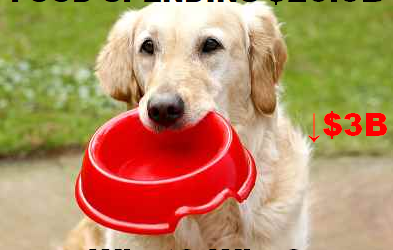 Value shopping for Food drives spending down! 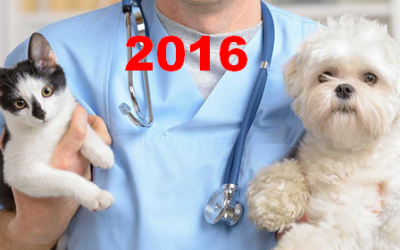 2016 Total Pet Spending was $67.29B – Where did it come from…? 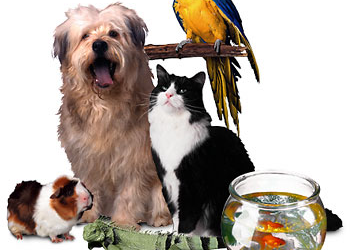 There are many factors that affect Total Pet Spending but Money Matters Most! 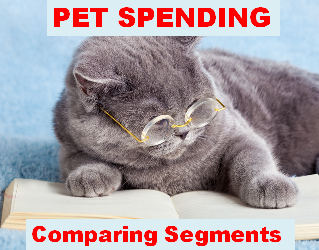 2016 U.S. Pet Spending by Generation – The Younger Groups Step Up! 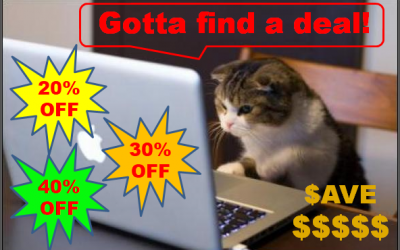 E-commerce continues its spectacular growth! 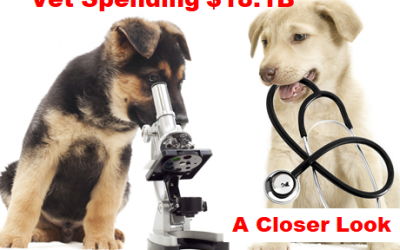 Veterinary spending gets back on track! 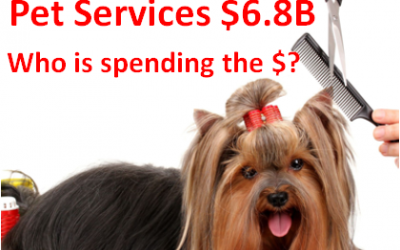 Services Spending continues its steady growth!